Oh, Halloween. The one day a year we’re actually encouraged to go to the sweet side! And the temptation? Yup, it’s everywhere. That is why we have created this eBook. We’ve created healthy recipes, both savory and sweet, to satisfy any sweet tooth or make you a hit at your friends party. When you fill up on the good stuff, it’s tough to have room for the bad. 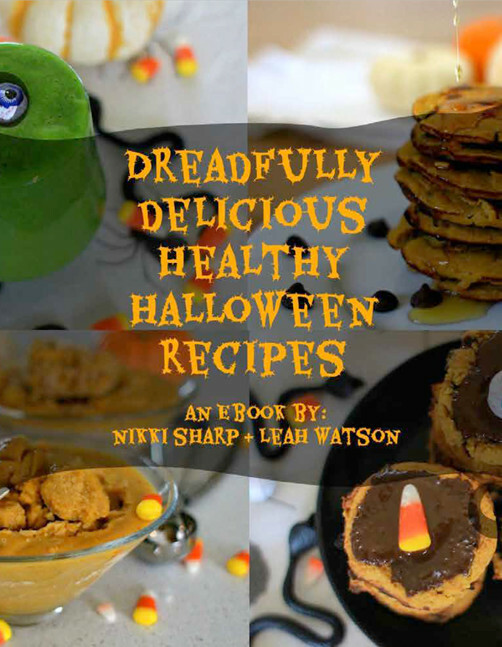 Get the inside on our secret ways we personally stay healthy and fit during the Halloween, and going into the holiday season, our recipes, and more! Don’t fret this Halloween about putting on those extra pounds or feeling guilty. We have everything you need to know in this FREE e-book!